I've been holding onto this blog post for six months now! 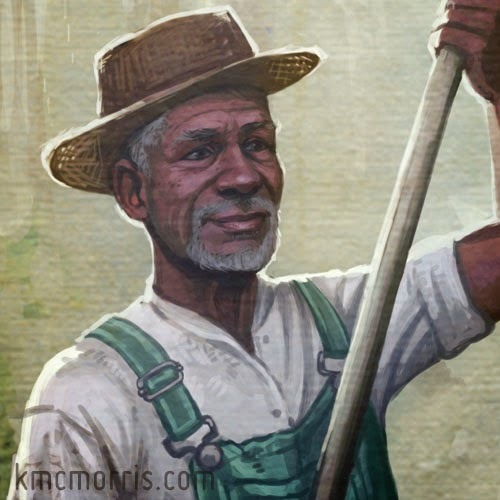 Back in June, author Allen Johnson Jr. contacted me about creating illustrations for his series of middle-grade novels for boys called Blackwater Novels. The series is set in the south in the 1930's, and draws heavily on Allen's own childhood experiences. 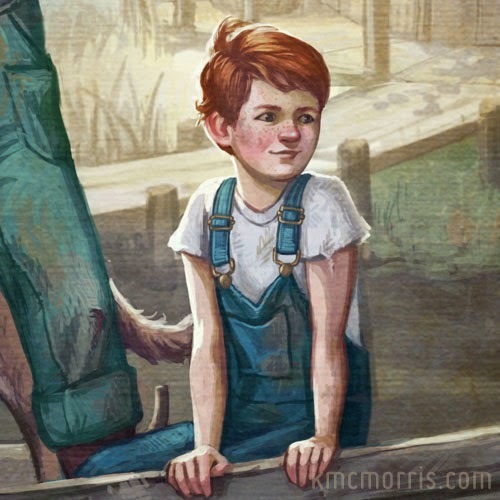 The first book, My Brother's Story, is about Johnny who discovers that he has a long-lost twin. 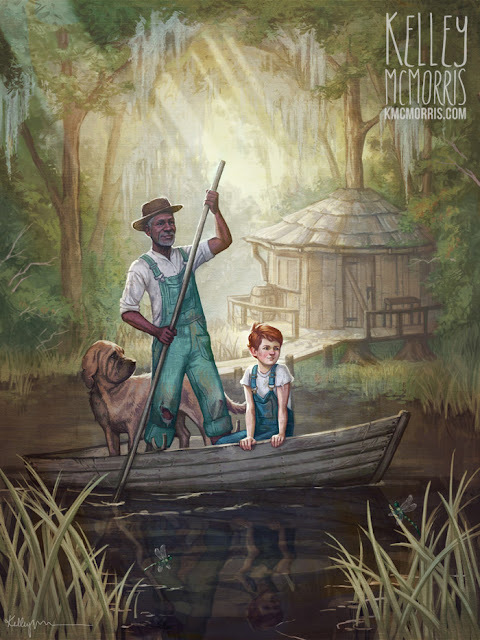 Johnny runs away to find him, gets lost in a Georgia swamp, and is rescued by a Linc, a black man who lives alone in the labyrinth-like swamp. 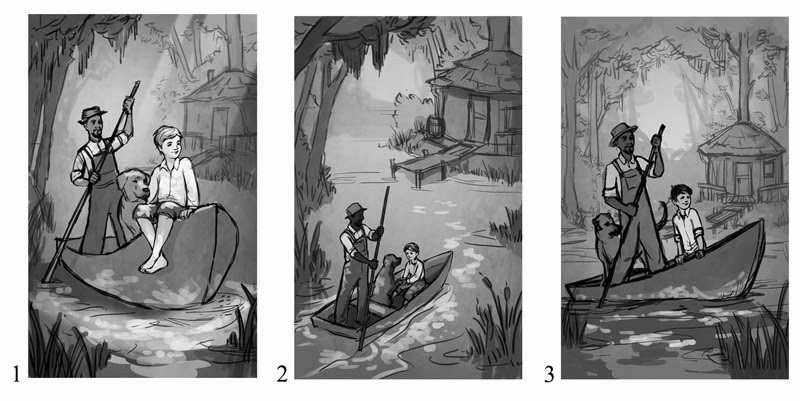 Allen asked me to illustrate one of these memorable swamp scenes for the cover. 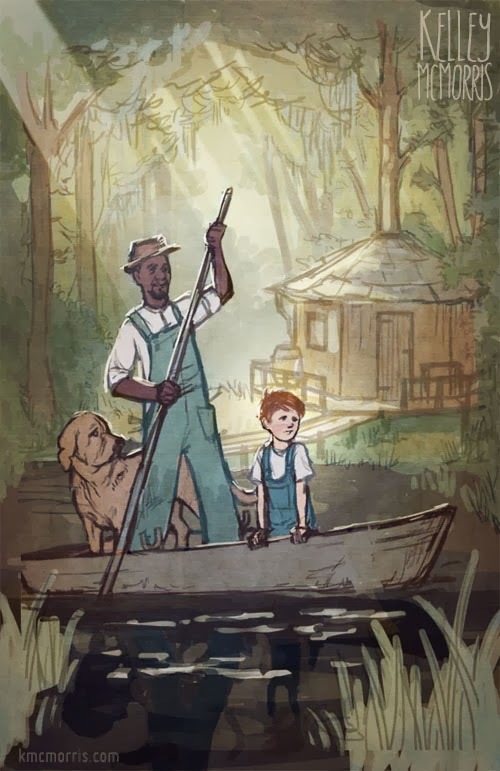 He wanted to include Johnny, Linc, Linc's dog Hooter, and Linc's treehouse-like cabin in the background. 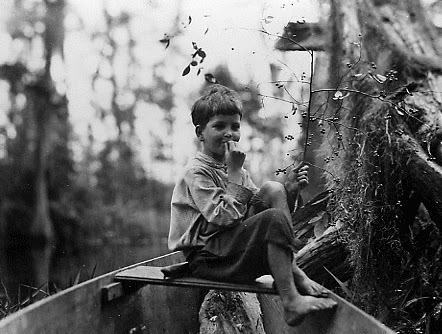 When doing research, I found a great Flickr stream with photographs from southern swamps during the 1930's. I sent Allen these three roughs. He chose the third one. After several rounds of revisions I added color to the rough. Allen emphasized that he wanted a classic, nostalgic look. 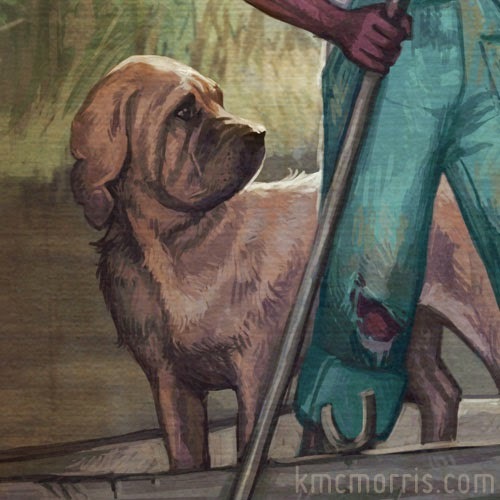 He had never worked with a digital artist before, and was a little worried that the cover would look too digital. So I went with a lot of golden light and a canvas texture on top. I was thinking of how period movies often have shafts of light streaming through dusty windows. Here's the final. I think it captures the warm, adventurous spirit of the book - and completely relieved Allen's fears about looking too digital! Here is the finished product! 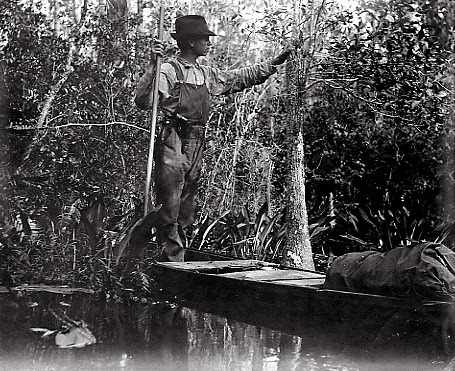 Inside the book there are twenty-one black-and-white chapter illustrations. I will be sure to purchase a copy, and frame the cover. Fine work Kelley. It was great to see how it came together. Love those pics you found on Flickr. Beautiful work! I adore the lighting and colors… It just radiates this time-worn, classic feel. Lovely. Looks fabulous Kelley! This is exactly the kind of work I really look forward to doing in the future. I think you really captured a very classic look that will stand the test of time. Way to go. Love it! I think you really captured the era and feeling of the genre really well. And it's very cool to see the printed book in physical form!